Ski-a-thon day! The whole team got out for a nice long rollerski cruise near the Vermont/New York border to raise money for the coming season. The team at the finish! From left to right: Jessie Diggins, Erika Flowers, Sophie Caldwell, Annie Pokorny, Myself, Ben Saxton, Skyler Davis, and Annie Hart. Andy and Simi are currently in NZ for a USST training camp. It was a beautiful day with smiles all around. The girls group around 60k in. Not a bad day for some classic striding. 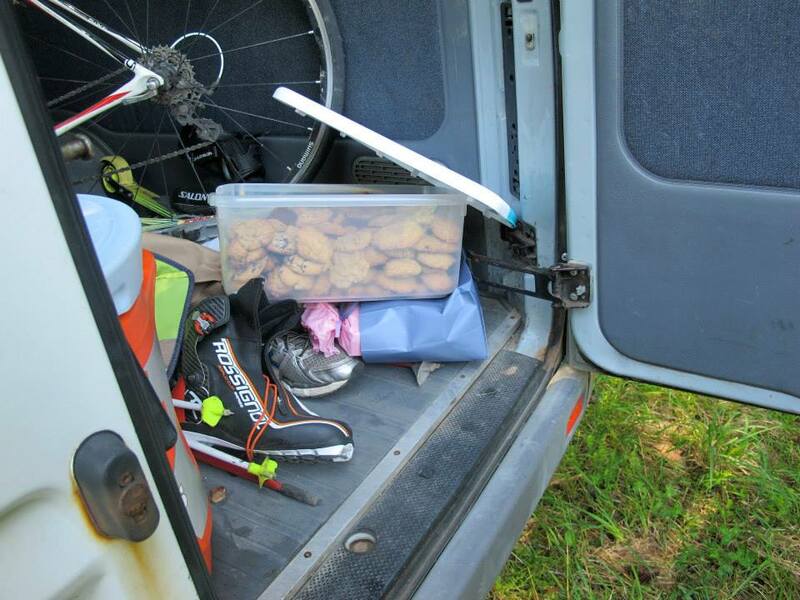 Luckily we had lots of high-tech power food to boost us through the day. 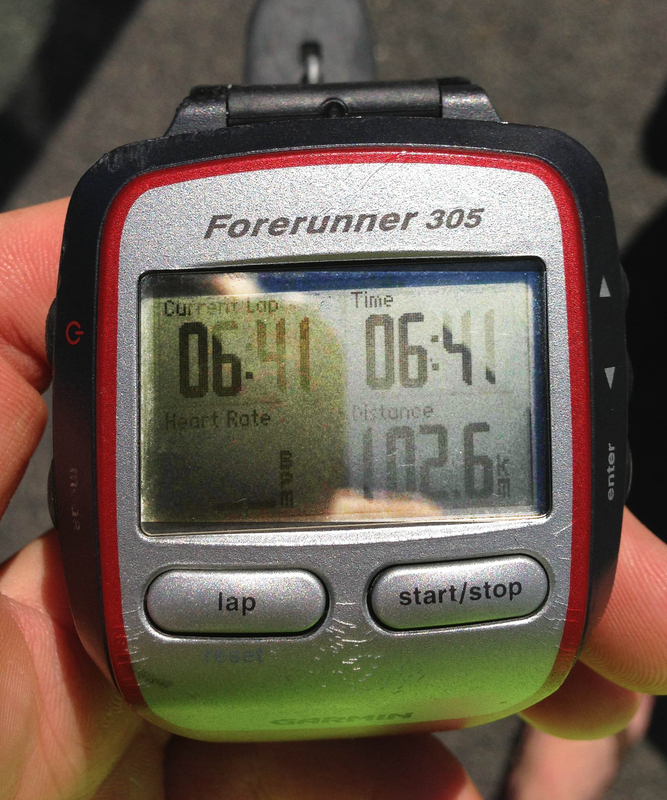 A photo of the final GPS reading: 102.6k in 6:41 (about 6 hours of “on” time if you take out the stops. Ski racing is an expensive sport. The SMST2 team provides housing, training facilities, a coach, and a great training group. As athletes, however, we are individually responsible for fundraising to cover travel and racing expenses. My training, travel, and competition expenses last year totaled over $20,000. I received generous support from both individuals and sponsors, but did not cover all the costs. You can also make a donation through the paypal “donate” link on my homepage. All families and individual supporters will be thanked on my website and sent regular training and racing updates throughout the fall and winter.